The snow will spread into central and northern Wisconsin Tuesday afternoon and across the rest of the area Tuesday evening. 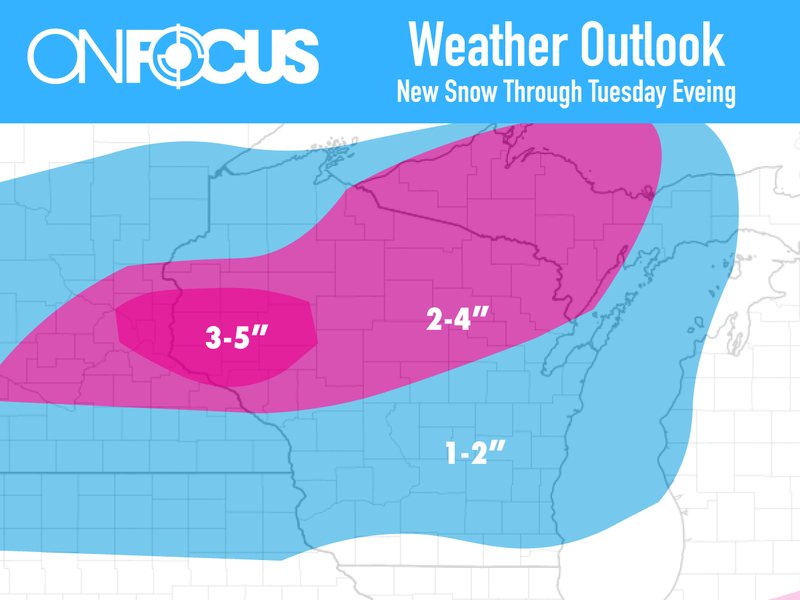 The heaviest snow is expected to be across northern Wisconsin. Some freezing drizzle is expected as well, mainly across central and eastern Wisconsin. Snow accumulations will range from around an inch across the southern Fox Valley, to 3-4 inches across northern Wisconsin and 3-5 inches in western Wisconsin.